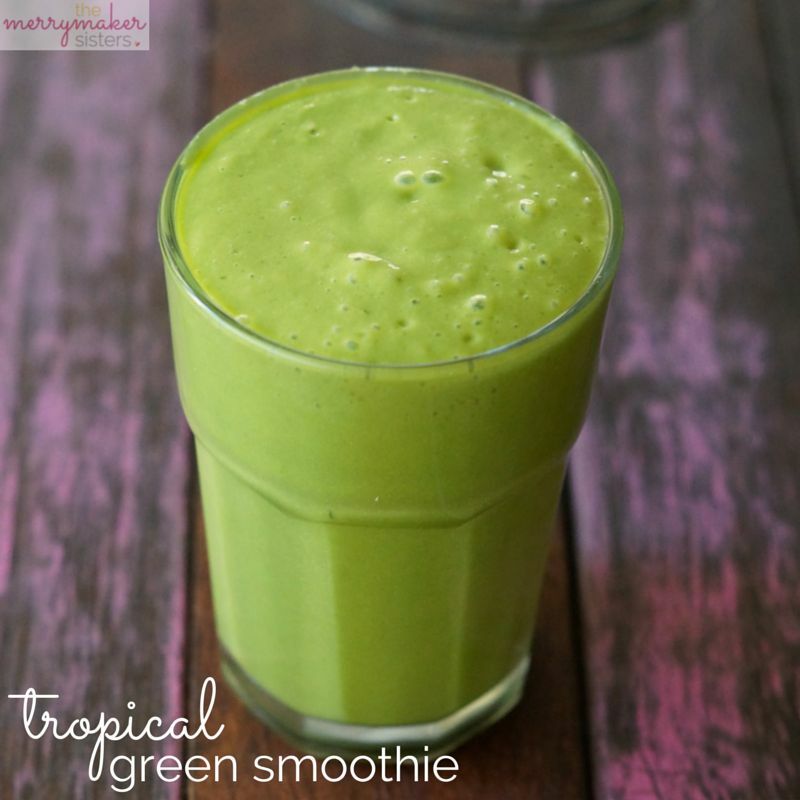 Healthy Tropical Green Smoothie Recipe. We’ll tell ya that we most definitely prefer to eat our veggies… but there’s a time and place for green smoothies. Especially those days when you’re under the pump! 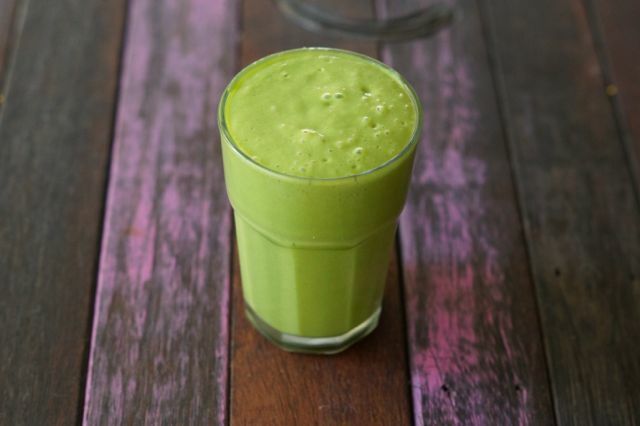 And sometimes, we just really crave a good green smoothie! Our Healthy Tropical Green Smoothie Recipe is ridiculously easy and fail proof… yep, if you follow the recipe your smoothie WILL NOT taste like liquid spinach, nope, it will taste like fruity, green, tropical goodness! Hello yum! We recommend dressing it up with a cute umbrella straw and drinking outside while soaking up some sun rays! Because really, that’s the only way to enjoy our Healthy Tropical Green Smoothie! 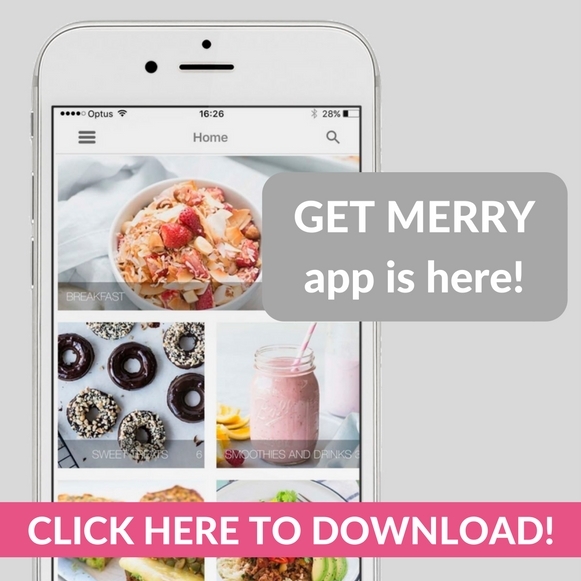 Or, you could make it for a brekky on the run, because smoothies are convenient like that! If you like this smoothie, then you’ll probably LOVE our Salted Caramel Smoothie… uhh yum! Place all of the ingredients into your blender (we use our Vitamix) and blend until smooth! Add extra milk if it’s too thick!